“The Glorious Court of Dresden” The 9th annual ABS Festival & Academy focuses on the Court of Dresden, known for the extraordinary quality of music that was composed for the electors and kings of Saxony who upheld the highest artistic and cultural standards for their subjects. 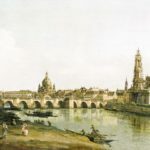 Dresden’s renowned Hofkapelle court orchestra was the finest in Germany during the Baroque era and brought prestige to the city, establishing its rank as one of the most important musical centers throughout Europe. A wealth of composers wrote their finest compositions for the ensemble. This program shows just how adept the musicians of the Hofkapelle were. The program includes Johann Friedrich Fasch, Trumpet Concerto in D Major; Johann Joachim Quantz, Flute Concerto in E Minor; Johann Georg Pisendel, Violin Concerto in D Major; Jan Dismas Zelenka, Sinfonia à 8 in A Minor; and Johann David Heinichen, Ouverture in G Major; with featured soloists Robert Mealy violin; Sandra Miller flute; and John Thiessen, trumpet. Free public colloquium. Begun in the first year of the ABS Academy, Public Colloquia have provided opportunities for community audience members and performers to join ABS Academy participants and their faculty in an afternoon of inquiry, ideas, and broad perspectives on each Festival’s theme. These 45-minute sessions will begin with the faculty of the ABS Academy as they offer their perspectives on the progress and evolution of period performance style over the past decades. A review of the rich history of Historically Informed Performance Practice—surveying the pioneering approaches of Harnoncourt & Leonhardt, Rifkin versus his opposition, and the contributions of Gardiner, Koopman, Suzuki, Herreweghe, and others—will provide a forum for ABS musicians to discuss their own different individual approaches to HIPP. “To Dresden With Love” A stunning setting of Dixit Dominus by Vivaldi, recently discovered in Dresden, features some of the composer’s most pictorial musical imagery and what has become known as Vivaldi’s most brilliantly executed double fugue for chorus. Bach’s congratulatory cantata for the anniversary of the election of August III, Elector of Saxony, as King of Poland, first performed in October 1734 in the presence of the Elector, is a grand and flattering testimonial to the high esteem in which he was held by Bach. Trumpets, drums, a full baroque orchestra, and chorus sing the praises of Dresden’s celebrated Elector. 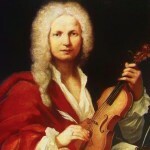 Works include Antonio Vivaldi, Dixit Dominus and Concerto in D Major “fatto per Maestro Pisendel;” Johann Sebastian Bach, Preise dein glücke gesegnetes Sachsen (“Praise your good fortune, blessed Saxony”); and Francesco Maria Veracini, Ouverture in B-flat major; with soloists Clara Rottsolk, soprano; Judith Malafronte, contralto; Matthew Hill, tenor; William Sharp, baritone; Jude Ziliak, violin; and the American Bach Choir and American Bach Soloists, Jeffrey Thomas conductor. 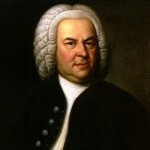 Bach’s Mass in B Minor. Jeffrey Thomas leads the ABS Festival Orchestra and American Bach Choir in performances of Bach’s Mass in B Minor on each Festival Sunday. A beloved tradition, the annual performances of this pinnacle work of the repertory feature instrumental and vocal soloists from the ABS Academy.